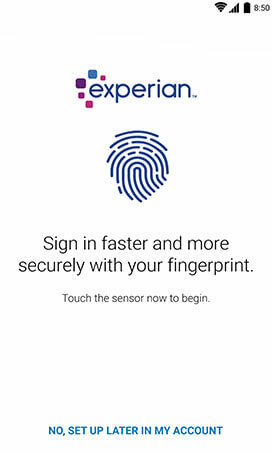 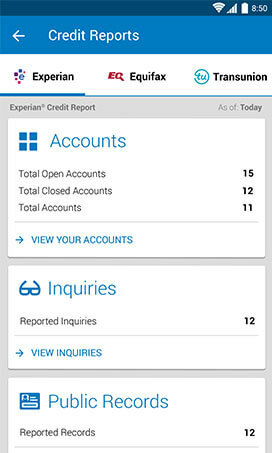 View your free Experian Credit Report anytime, anywhere on your Android device. 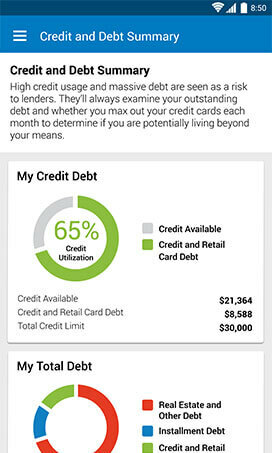 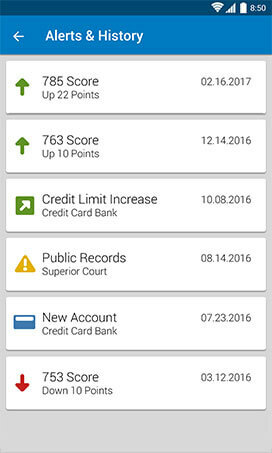 With our free Android app, you can see your credit information in an easy-to-explore format. 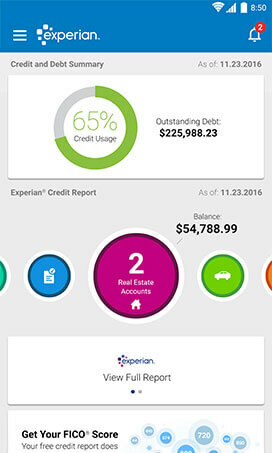 Your credit and debt summary includes how much you are spending, how much debt you have, what your credit limits are, and how it all affects your credit utilization.